This article is excerpted from Through Brazil to the Summit of Mount Roraima by G.H.H. Tate from the November 1930 issue of National Geographic Magazine. Text and photos © National Geographic Society. 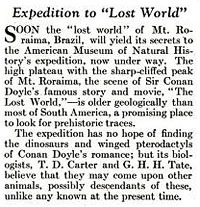 Announcement of the expedition from the September 1927 issue of Popular Science. "Many, many years ago all the land was as high as Roraima and Kukenam, and the two mountains were joined together. Many people dwelt there, and among them three brothers - Anticeron, Anike, and Macunama. 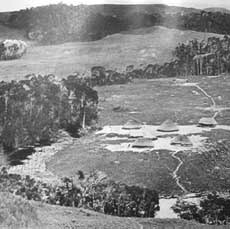 The land was very fertile, especially in the neighborhood of Bananatree Mountain (Ualacatipu, west of Kukenam). "The brothers were joint owners of much of the fruitful land. They became jealous of one another and quarreled. One cut down the banana trees, and from the stump of the last of them, now turned into a mountain, water gushed and flooded the whole world. Macunama was drowned. "As the flood abated, the land between the mountains sank down and became as it is to-day. "A man named Cera-cera appeared from nowhere in particular, collected the bones of the people and animals, and brought them to life again." 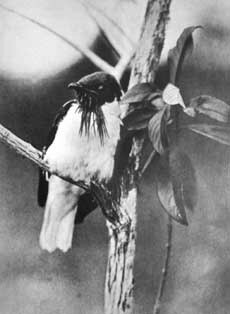 This expedition was financed by Lee Garnett Day for the American Museum of Natural History, and included leader G.H.H. Tate, his brother G.M. Tate, and AMNH Department of Mammology head T.D. Carter. 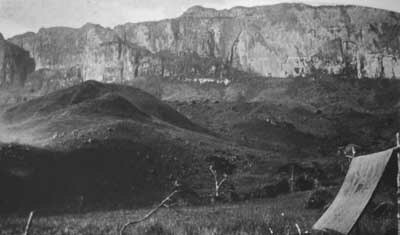 The purpose was the gain as complete as possible a survey of the ecology of Mount Roraima. A huge table-land, remote, forbidding, belted by stupendous precipices of craggy sandstone, towering eternally among its mantling clouds - that is Mount Roraima. Rising calmly, gradually, at a point where the British Guiana-Venezuela-Brazil boundaries meet, it surveys its world. It is very ancient. Picture the earth some three hundred millions of years ago, when Roraima was, as it were, born. No mountain then, but a part of the bottom of vast, shallow lakes and deltas. Ages passed by, during which the land rose uniformly and gradually; lakes dried up or drained away; sands and silts became compacted and cemented together into a level tract perhaps as great in area as New York State. During further millions of years the strata were injected by great "sill" of molten rock, coming no one knows whence, that actually floated the topmost two or three thousand feet of sandstone beds. 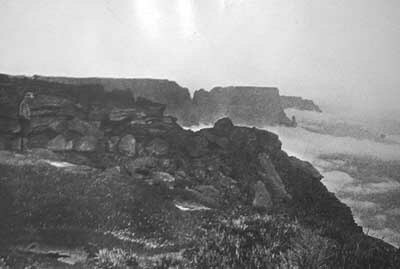 Still later, long-continued erosion etched away the softer sandstones and dissected the new plateau until it became separated into great blocks that successively grew smaller and crumbled away. To-day the sole remnant of the ancient lake bottom is the Roraima group of table-lands. Roraima itself has acres of its surface lined with perfectly preserved ripple marks of Paleozoic (or older) waters. Mount Roraima has ever been a magnet to the explorer, calling, yet defying him to solve the mystery of its origin. In his trun, each man has wrested his mite of knowledge form the region, and the sum total of their discoveries shows in the picture I have attempted to draw. Several travelers have visited Roraima. 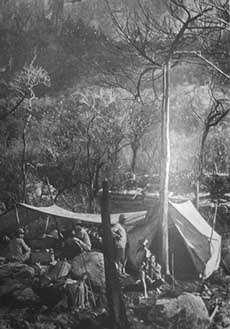 Comparatively few, though, have reached its summit, and then generally have remained only a few hours or for a single night. Our imperfect knowledge of the animal life of the table-land has been derived from several small collections, which, though they often contained a high proportion of new forms, have merely served as appetizers to scientists. Three days later we lay at full length on the crest of a high ridge a short way from the mountains, inhaling the invigorating air and rejoicing that our quest was so nearly over. The twin giants, Kukenam and Roraima, loomed before us serene and majestic. Flat-topped and of almost equal height, they towered above us for some 4,000 feet, 8,600 feet above sea level. Their seamed and craggy precipices, that rpesent and almost impassible barrier between base and summit, glowed red in the late afternoon light. Discolored patches and the numerous cracks and clefts traversing the cliffs from top almost to base were picked out in sharp contrast with purples and blacks. Threads of silver, gossamer-thin, stretching from top to bottom of the walls, were falling streams that broke below into glittering spray, then gathered their waters anew and hurried away to the distant ocean. The precipices of cliff-girt Roraima and Kukenam do not rest directly upon the surrounding plain. They stand on pedestals of volcanic rock whose great slopes, commencing at the foot of the precipices more than 7,000 feet above sea level, stretch outward for some five miles before they finally merge with the 4,000 foot plains. Starting from base camp, one must climb more than 3,000 feet of steep slope before reaching the sandstone cliff to look up at projecting rocks of the summit, directly above, yet distant almost twice the height of New York's Woolworth Building. The southwest wall of Roraima... is about four miles long and terminates at its southern end in the remarkable Towashing "Pinnacle" of Conan Doyle's "Lost World" fame. On the other side the southeast wall has a length of perhaps eight miles. 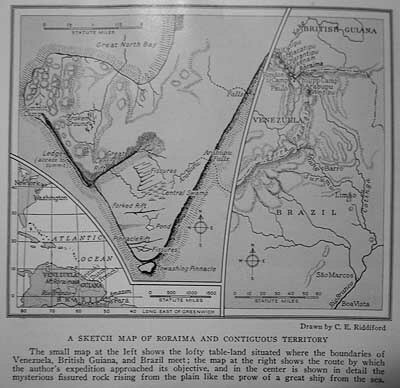 Roraima would have a rectangular outline were it not for the great gulf eaten back into its mass from the northwest... which occupies about a fourth of the rectangle. The smaller mounatin, Kukenam, very irregularly rounded, has a diameter of three or four miles. Sometimes, on the way up, one has a splendid view of the country below, spread out like a maps, but for many hours at a time mist obscures all except near-by objects. Most of our time was given to collecting specimens of the animals and plants on the summit. While aware that none of the startling creatures of the "Lost World" could ever be encountered, I experienced that excitement familiar to every hunter and collector, as I traced out my line of 300 traps among the rocks and bushes. As I baited and reset each trap, my eyes searched keenly for more telltale signs - burrows, runways, droppings - and my ears were alert for the cheep and twitter of somber-plimaged little birds hiding among the low brush of the summit. Amid the murk of almost perpetual fog, such an existence as these creatures lead seems to us unbearable; yet it is all they know. All about the camp, ferns with fronds shaped like long-handled ice-cream spoons grew beneath overhanging ledges. Starlike vermilion flowers blossomed from cracks among the rocks everywhere. Fog on Roraima not only is disagreeable, but has an annoying way of blotting out for hours together the picture that has cost much scrambling over slippery rocks to seek. For the greater part of each day great cottony clouds billow up the cliffs and tower on upward for a thousand feet more. Quite often the mountain is wlled in by mist, but the sun shines down brithly in the center. Then a touch of wind, and the cloud sweeps over, blanketing every feature. Some weeks later I looked back at the twin mountains, almost obscured by black clouds. Quite apart from these wonders of Nature and the strange plants and animals that dwell there, I like to think of Roraima as having persnoality. Utterly cold and aloof, he inspires reverence rather than affection. 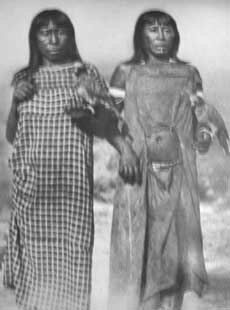 yet the Indians who played as children and grew to manhood at his feet seem happiest when within sight of his frowning cliffs. "Ru-ru-ima, the Father of Waters", is angry, or calm, or speaks through the thunderstorm. Is he kind? Does he ever smile for his Arecuna children?